This is a die-cut Harris Oils porcelain sign. This particular Harris Oils sign is predominantly black with yellow text. 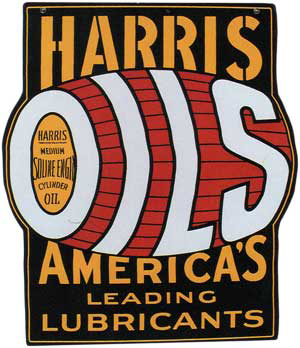 It reads, “Harris Oils, America’s Leading Lubricants, Harris Medium Cylinder Oil” and features a red and yellow barrel in the center.